Perpignan offered us a blank canvas. It was a city on a map, a little tiptoe across the border from Spain. We went without a plan and painted Perpignan with wide, careless strokes, slowly filling in streets and a canal, a little castle, and the backdoors of churches. 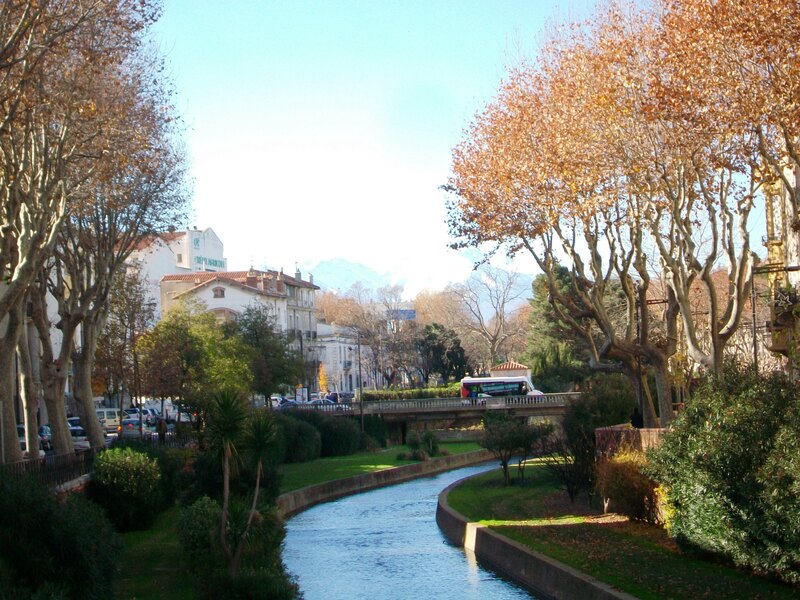 Perpignan is a bit like that uncle that you are scared of as a kid because he smells a little funny, but then you realize that his eyes twinkle when he tells you a story, so you lean in anyway. And you lean and lean and lean, and for a second, you convince yourself that his tales are yours. I found myself in a market with an empty stomach. Spanish and French buzzed around me as yellow and red Catalan flags waved on buildings. I perused the stands, admiring the fresh loafs of bread, hefty cuts of cured meat, and blocks of fragrant cheese. Root vegetables, herbs, and fruits rested in the shade of the canopies as locals picked up their daily produce. 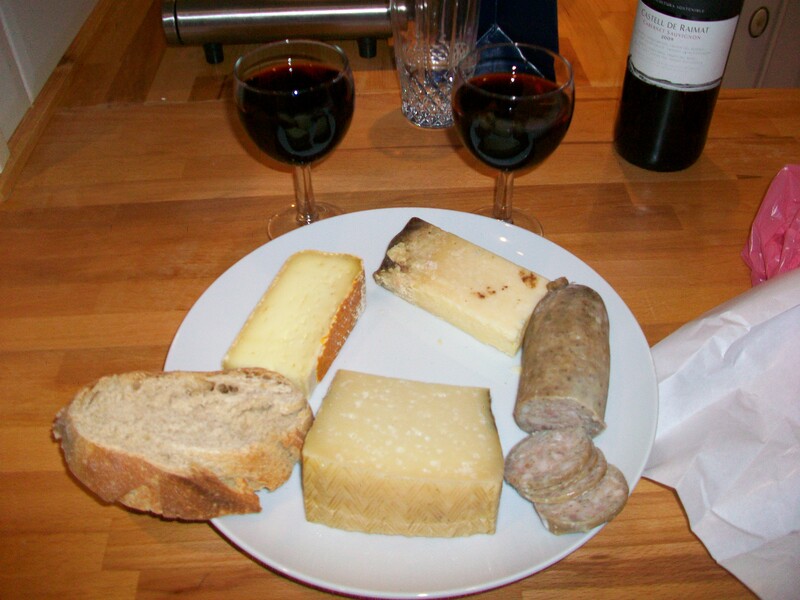 I sampled various types of cheese and settled on a salty, aged manchego that needed a generous dousing of olive oil to cut through its strong flavor; a soft white cheese with a surprising apricot aftertaste; and a crumbly, tangy cheese that paired beautifully with our white butifarra sausage. This was France, but it was the French Catalonia; with the French street signs, the Catalan flags, and the Spanish border only 18 miles (30 km) away, I hardly knew which language to start with. After hearing an exchange by locals in Spanish, I followed suit and placed my order in Spanish, not feeling so foreign after all. We went home swinging a bag filled with meat, cheese, and a dense loaf of white bread. After filling our stomachs with our market haul and a bottle of red wine, we walked to the Stade Aime Giral for the Perpignan versus Munster rugby game. I had never seen a rugby game before and was fascinated by the speed of the game. Within fifteen minutes, the basic rules made sense and the rowdy Irish crowd had nearly come to fists with an antagonistic Frenchman. All of the home team USAP fans—Union Sportive des Arlequines Perpignanais—were gifted red and yellow inflatable noise makers. The stadium was a sea of red and yellow tubes which rang a sound between a boom and a ping, and there we were, shouting and cheering along with the locals. The Irish would have never guessed that we were actually more closely related to them than the USAP fans, but even as outsiders we picked our side. And when Munster came back in the last thirty seconds of the game to score a try and win the game by one point, we slunk home with the frustrated fans, still trying to grasp what happened. For a weekend, Perpignan was ours, but not in the way that we owned it: we were part of its web. We inched clandestinely through the backdoors of inconspicuous churches to find gold-gilded cathedrals. We crossed a little bridge over the canal and admired the snow-covered mountains in the distance and the line of trees whose autumn leaves still hadn’t fallen in December. We sampled cheese in the market, nodded like we were aficionados, and barely managed to not devour what we bought before we arrived home. We screamed for “our” team until our voices were hoarse, and during our defeated march back to our flat, we stopped to watch the blue Christmas lights blinking and reflecting off of the canal water. 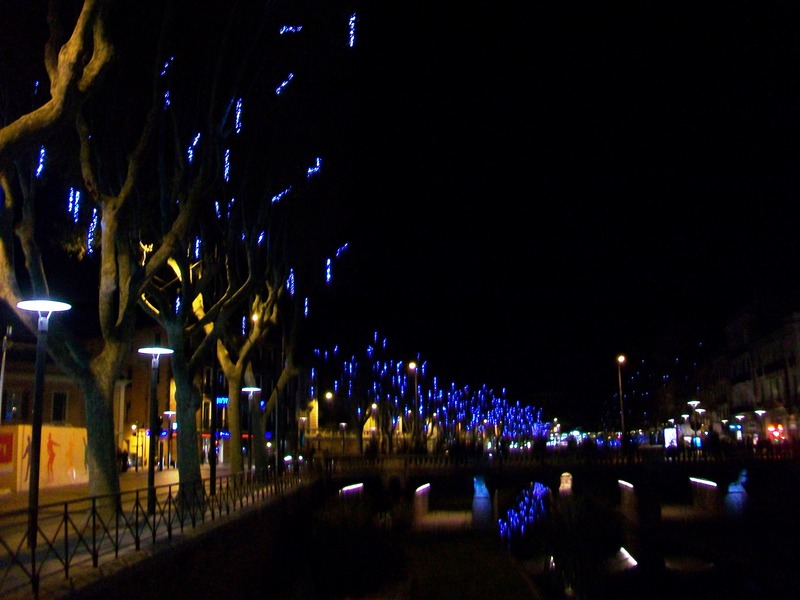 We leaned into Perpignan, intrigued by its twinkling eyes, and there we were, in the thick of it. Tags: Cheese, Europe, France, Perpignan, Rugby, USAP. Bookmark the permalink.